JoFF Rae | ARTIVIST | creative by any means necessary! Categories : INTERUPT!, JoFF Rae, Promotions, StuFF! 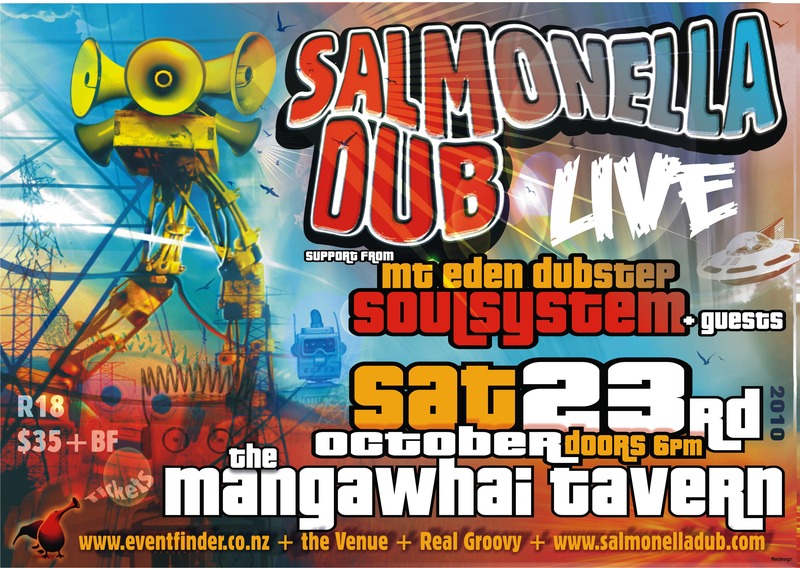 diagnosis: Salmonella Dub endemic confirmed… the 2nd opinion. ARTIVIST : creative will continue to develop content & production for independent events while the band plays major dates that create large scale exposure & promotion. Comments : Comments Off on diagnosis: Salmonella Dub endemic confirmed… the 2nd opinion. 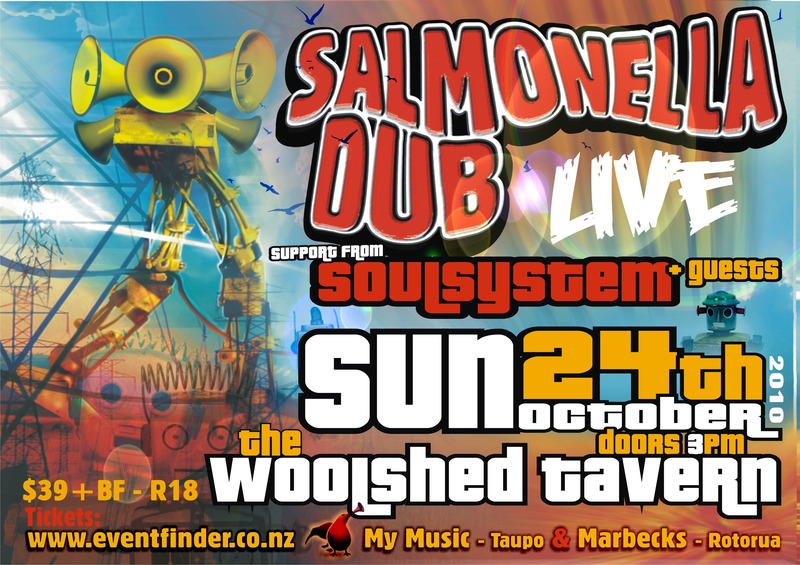 supported by DJ Rude Boy, MC Mana & Mighty Asterix with Christchurch 4 piece SoulSystem this is going to be a CRAZY & FULL ON night by any standards! Thanks to everyone who came to our recent shows, we had an amazing time! 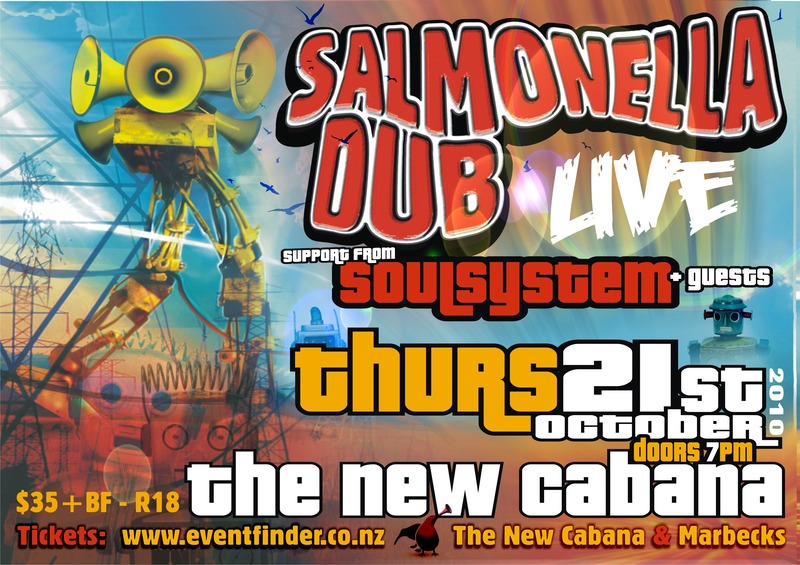 We have a run of Salmonella DJ SoundSystem shows coming in late March & early April. 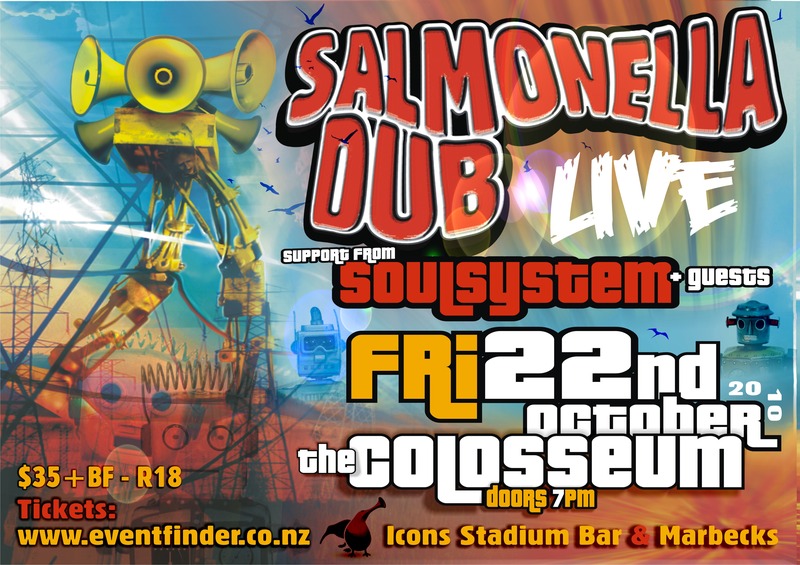 For those of you who don’t know what the Salmonella DJ Soundsystem is: it’s Dj Rudeboy aka Andrew from Salmonella Dub on the mix, cutting up dubplates the bands entire catalogue plus a variety of contemporary dub step dance hall and DNB. This dance floor selection incorporates guests MC Mana (ex Rhombus) and the Mighty Asterix on vocals plus Michelle and Pete from the band on horns and percussion. This live dance experience is mixed to a backdrop of big screen visuals and a moving light show.